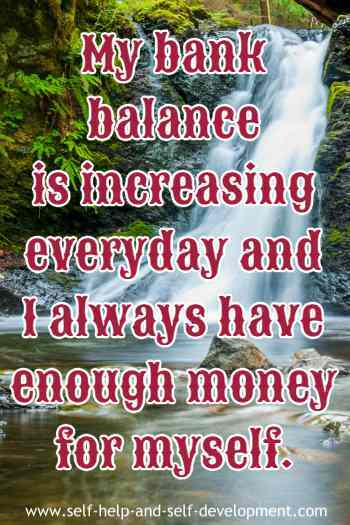 15 Money Affirmations To Attract and Hold on to Money. 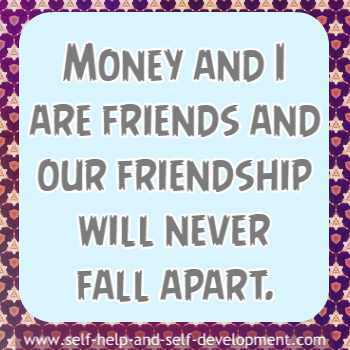 Money affirmations help to prepare the mind to receive money. 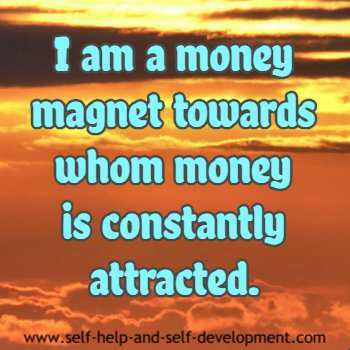 Here are some of the best affirmations to manifest money. Most of us have some issues with money. Circumstances, what we hear about money when we are young, or simply a negative mindset are reasons for this. "Money is the root of all evil" is a statement wrongly attributed to the bible. The correct statement is "Love of money is the root of all evil". It simply means that if we are greedy about money or give money too much of an importance, then that is bad for us. The famous American author Mark Twain has an interesting take on this. He says, "Lack of money is the root of all evil". I think this statement of Mark Twain hits the nail on the head. Most crimes are committed because the criminals lack money. Many lives are miserable due to lack of money. And the funny thing is that most of us face lack of money due to our attitude toward money. Below you will find affirmations to attract money. 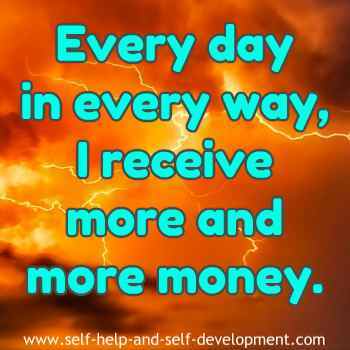 One way of changing our attitude toward money is by repeating powerful money affirmations. If we hate money, it will run away from us. 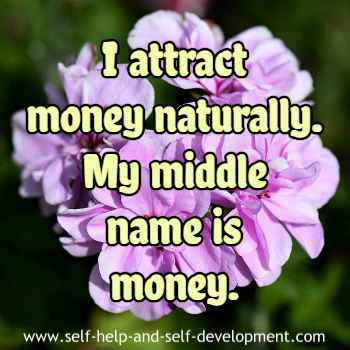 Affirmations attract money only when we love money. In fact, anything we love and focus on is attracted in our life. 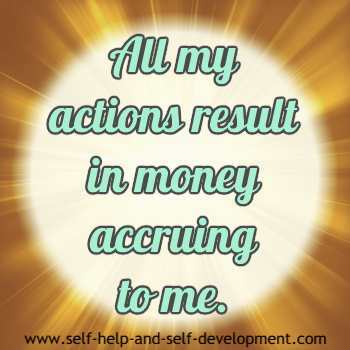 Affirming is one way of focusing on money. We have to realise that money is not an end in itself. It is a means to an end. That end can be happiness, joy, freedom, etc. 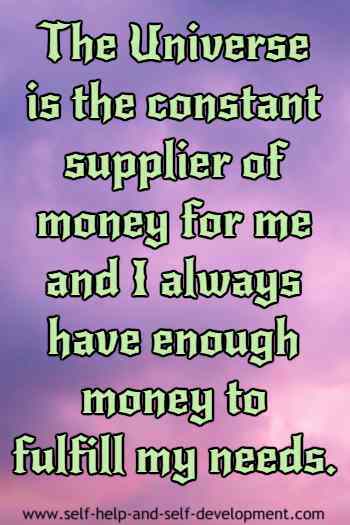 Money is required not just for survival but also to lead a quality life. Quality life does not necessarily mean luxurious life. It can mean a simple life where all requirements are satisfactorily met and some more. Make it a habit of repeating the following affirmations all day long. 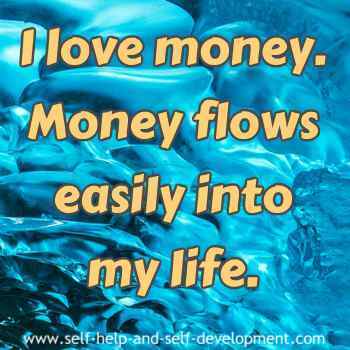 Money affirmations will assist you to love and hence attract money. I receive more and more money. 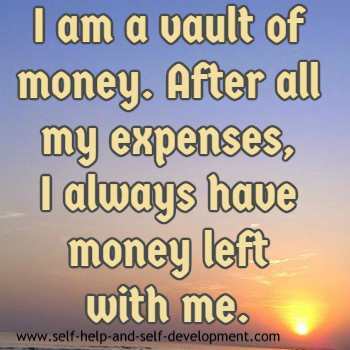 I am a vault of money. have money left with me. 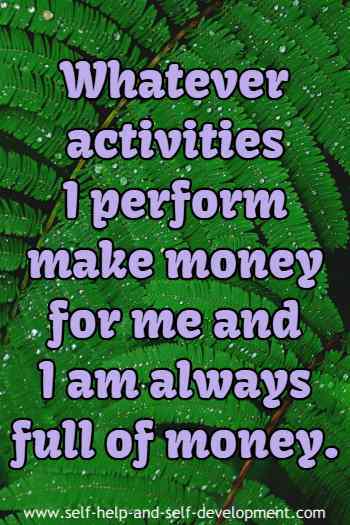 All my actions result in money accruing to me. 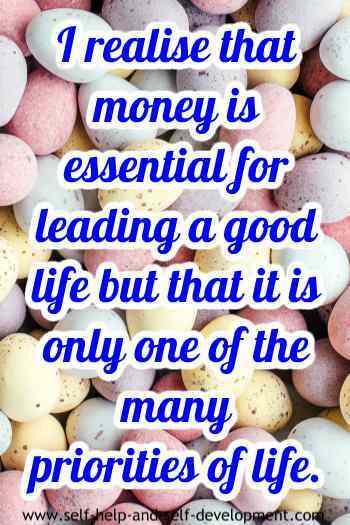 I realise that money is essential for leading a good life but that it is only one of the many priorities of life. As always, feel free to combine two or more affirmations and repeat them preferably in front of a mirror. 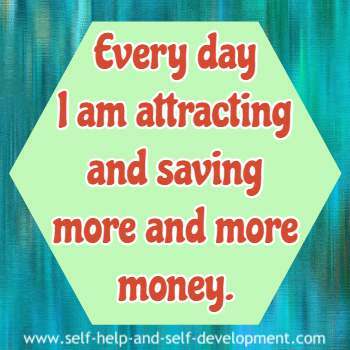 Use these affirmations to attract money and become wealthy. 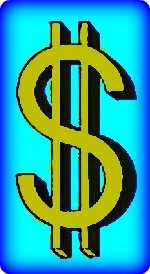 Another way of using money affirmations is through hypnosis CDs or MP3 downloads. As you are aware, hypnosis is a powerful way of influencing the subconscious. If, in addition to affirmations, you also listen to hypnosis CDs or MP3, once in the morning and once at night before sleeping, it will do wonders to your progress.